Transport Minister Dr Blade Nzimande, eThekwini Mayor Zandile Gumede, city officials and public transport operators announced that Durban residents will soon have access to an improved public transport service, in their recent meeting at City Hall. The aim of the meeting was to discuss the progress, achievements and challenges facing the Go!Durban project thus far and how they can be resolved in order to ensure that it starts operating in May this year as planned. Mayor Gumede said that the city has been working hard to ensure that all the necessary boxes are ticked in order for GO!Durban to start operating. “The project has seen 25 unemployed graduates being employed and has ensured that 100 percent of the local labour was drawn from the wards where the projects are happening. This totals to 22 967 job opportunities of which 11 767 were for youth, 3 677 for women and 231 for people with disabilities,” said Gumede. The oversight visit concluded with delegates driving along the entire C3 route which starts in the Pinetown Central Business District all the way to Bridge City in KwaMashu. 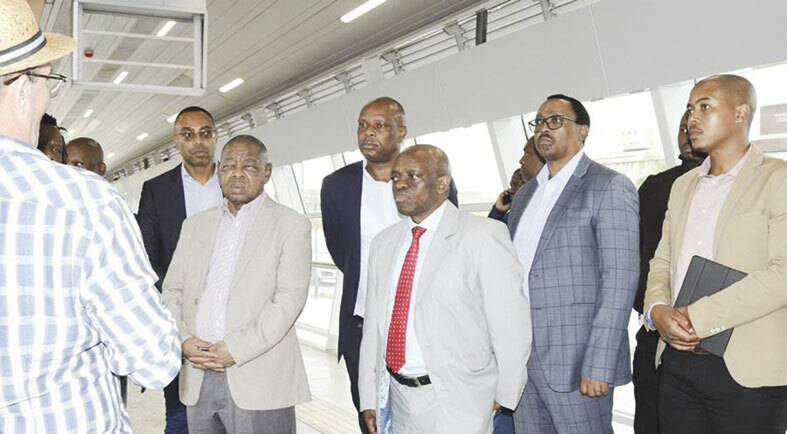 The delegation also made a stop at the Regent Station to facilitate an assessment of the various system components of the station such as way finding, station building structures and access to the closed system facilities.